Here we are, sitting in Bashford Courts, the Atrium mall of Prescott in our lovely home, the historic Bashford-Burmister building. We are thinking about just how lovely this time of year is, the temperatures dipping and the breeze moving through the trees. We love Prescott and everything our beautiful valley town, and the gorgeous woodland are surrounding us, has to offer. This time on the Bashford Court blog, we wanted to look at our city, our shared history and all the things that make our city of Prescott, Prescott. It all started back when the Arizona Territorial governor of the day, John Noble Goodwin scoped out the area while completing his first tour of the then new territory. It was named Prescott on May 30, 1864, after the first American scientific historian William H. Prescott – but more on him later! 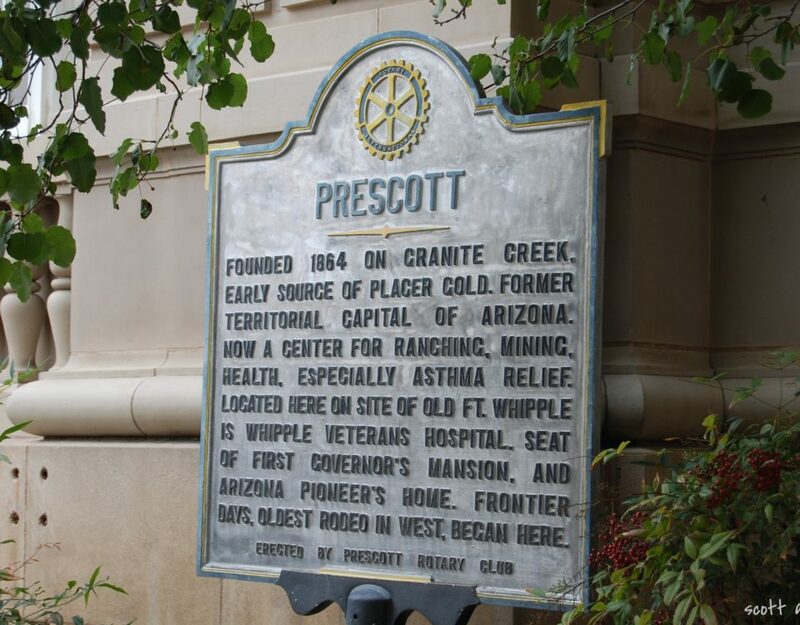 After being found, named, and had lots auctioned out, Prescott was given another great honor in the early years, becoming the temporary capital of Arizona territory. It would serve as such until November 1st, 1867 when the 4th Arizona Territorial Legislature moved it to Tucson. They only got to hold on to that title for 10 years before the 9th meeting of the Arizona Territorial Legislature brought it back to Prescott for another 12 years until it moved and stayed in Phoenix. 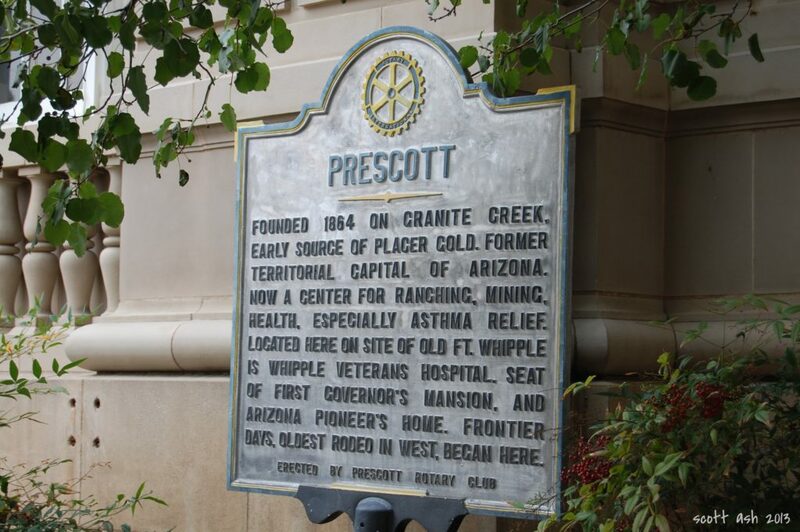 During these years, Prescott was predominantly a town in service to the many nearby mining camps and we have had our own share of Wild West magic – Prescott was the stopping point for Doc Holiday on his journey to Tombstone and home to Virgil Earp, older brother to Wyatt. Our town slumped with the mining industry and then recovered thanks to cattle. 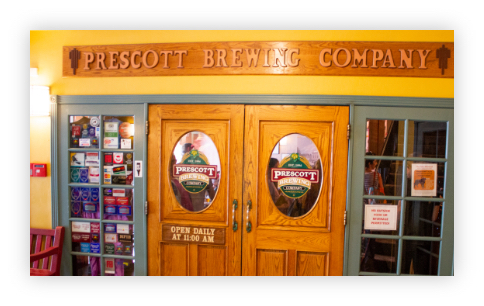 Like our neighbors to the south, Prescott experienced its own rebirth from the ashes in 1900. On July 14th, 1900 a devastating fire tore through the downtown Prescott area, ravaging over twelve hotels and twenty businesses. An area of a four and a half blocks was burned to the ground. But Prescott is full of hardy folk and they took the opportunity presented to them to rebuild, stronger than before! All those old Victorian style buildings were rebuilt with brick and concrete. Streets and sidewalks were paved. Like a forest after a fire, the city of Prescott flourished. 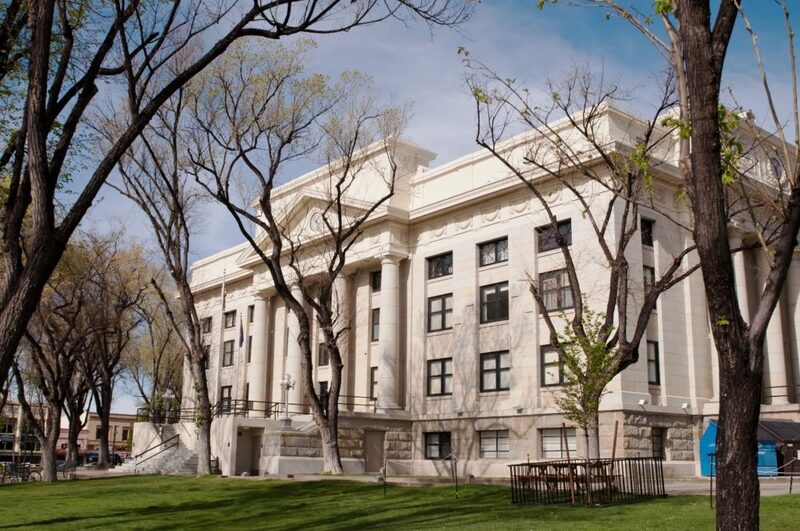 In 1914, the Yavapai Chamber of Commerce (now the Prescott Chamber of Commerce) was founded, originally to promote the area for its healthy climate. Arizona as a whole benefited from the tourism, and Prescott became a frequent home away from home for Phoenicians during the hot summers. The continuing copper mining industry continued being valuable as the outbreak of the first World War saw demand for copper increase. Prescott experienced similar postwar downturns and the depressions the rest of the United States suffered through. Despite these economic problems, the population was increasing. Prescott benefited greatly from the federal assistance programs like the WPA during the late 30s. Following the end of World War II, Prescott has been on an upswing. Since the late 40s, the town has been back on the rise. Flourishing into a destination in northern Arizona, full of museums, bars, music, and more. We mentioned the namesake of our town previously. That person, William H. Prescott, was one of the foremost early American historians and Hispanist, a scholar specializing in Hispanic studies, focusing mostly on late Renaissance Spain and the early Spanish Empire. His works have become classic in the study of Spain and Mesoamerica. His place as one of the greatest American intellectuals of the era made naming our city Prescott a great choice. Whether heading out to visit a bit of that Wild West magic, If you are planning a trip up to Prescott, whether it be to enjoy the great outdoors, our wonderful history, or all the other things we have to offer. Come on down to Bashford Courts and our varied shops of craftsmen selling their wares. You are bound to discover something you love, we know it. 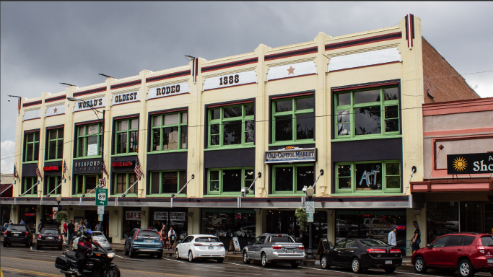 Want to know more about the history of our building? Check out our history page where you can find out all that and more.